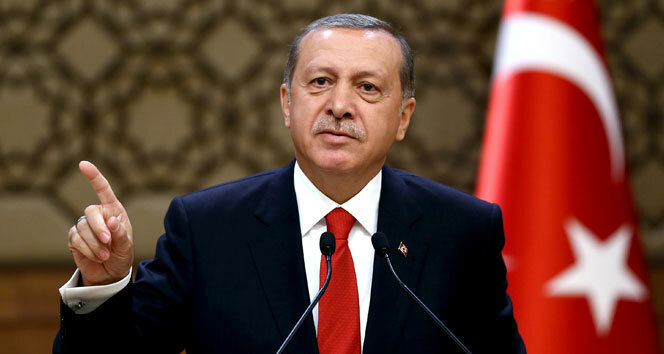 Turkish President Recep Tayyip Erdoğan has renewed his call to the people to inform authorities about followers of Islamic scholar Fethullah Gülen and said the Gülenists aim to take control not only of Turkey, but also the whole world. Speaking at the Presidential Palace, Erdogan said the authorities have been battling the Fethullahist Terrorist Organization (FETÖ), a term he uses in reference to the Gülen movement, for the past three years. He renewed his plea for more information from the people about Gülenists. “After the last heinous attack by FETÖ, those who are still present among those people will be regarded as traitors, enemies of the people. Therefore, you must identify any sympathizer and immediately inform the authorities about them,” Erdoğan said. The government has launched an unprecedented crackdown on the movement since a failed coup attempt on July 15. Erdoğan blames the group led by the US-based Gülen for the putschist effort to topple him. Gülen denies the accusation and rejects any link to the coup attempt. Since July 15, the government has arrested nearly 22,000 people over alleged links to the Gülen movement. Erdogan says the group’s first attack was the Dec. 17-25 corruption investigation three years ago and that since then the government has been striving to dislodge suspected Gülen followers from the state bureaucracy. He said “FETÖ” and Daesh, an Arabic acronym for the Islamic State in Iraq and the Levant (ISIL), are the two most serious terrorist threats to Turkey’s national security. He concluded that the movement is trying to take control of the world. For that reason, he added, they operate in 170 countries. This article originally appeared in Turkish Minute on August 30.